Cologne – When FC Bayern München captain Philipp Lahm lifted the FIFA World Cup trophy on 13 July 2014 in Rio de Janeiro with Germany, he was not the first German player to get his hands on the coveted prize. Franz Beckenbauer (1974) and Lothar Matthäus (1990) had already beaten him to it, while a different piece of silverware was awarded when Germany first won the World Cup in 1954. Yet in 2010 Lahm was the first player to hoist the Supercup trophy aloft when he did so for Bayern after their 2-0 victory over FC Schalke 04. That year was the first time the first title of the season was played under the stewardship of the DFL Deutsche Fußball Liga, and, accordingly, the DFL marked the occasion by minting a brand new trophy – which is the one Lahm received. The trophy itself is 53 centimetres tall. One side is covered in sterling silver to symbolise the Bundesliga championship plate – the Meisterschale – while the other side has a finish of fine gold to represent the DFB Cup trophy. The symbolic arms on each side are holding a chrome ball with a circumference of 19 centimetres. 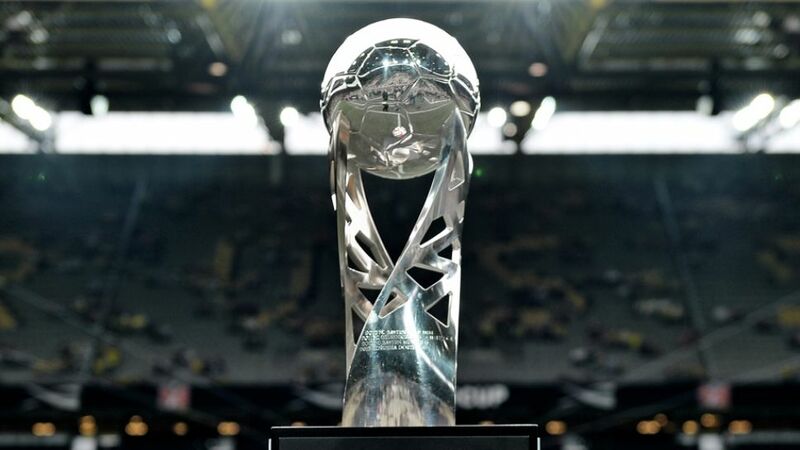 The trophy was made by Koch & Bergfeld Corpus in Bremen and is insured for €40,000.